Don’t we all love ribs!! But if your following a low carb diet, the barbecue sauce used (or any sauce) can completely take up all your carbs for the day. 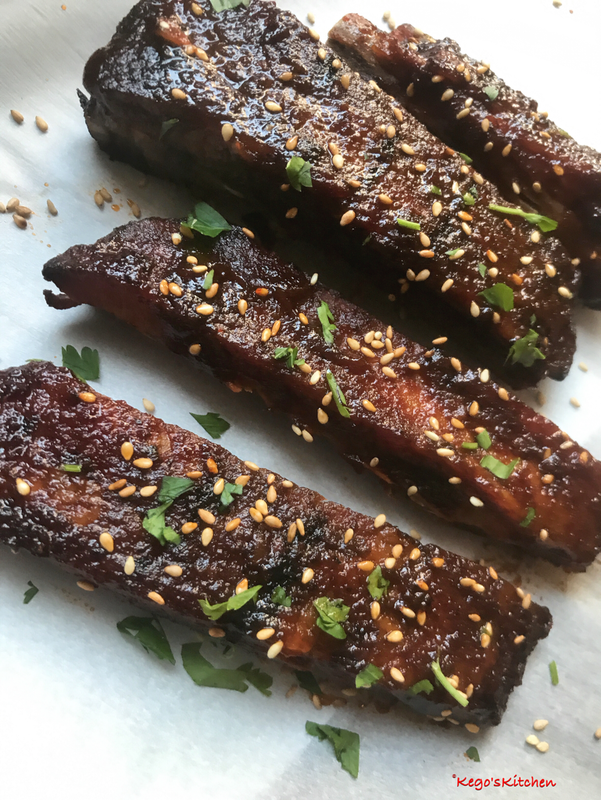 Try my quick low carb sriracha glaze recipe and lick your fingers away. Season and bake ribs for 45 mins on 350 degrees, until done. 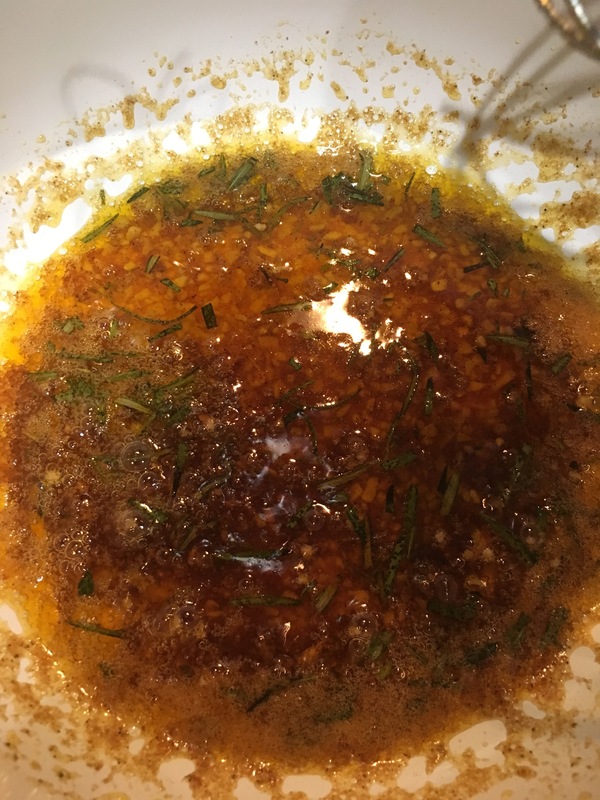 Begin to heat up a sauce pan, add in oil, ginger and garlic. Sauté on low heat for about 30 seconds. Next add in soy sauce and sriracha. Mix well and squeeze in lemon. Add in stevia, allow to simmer for 30 seconds on low heat. Using a basting brush, brush glaze upon ribs. Garnish with sesame seeds and chopped parsley. 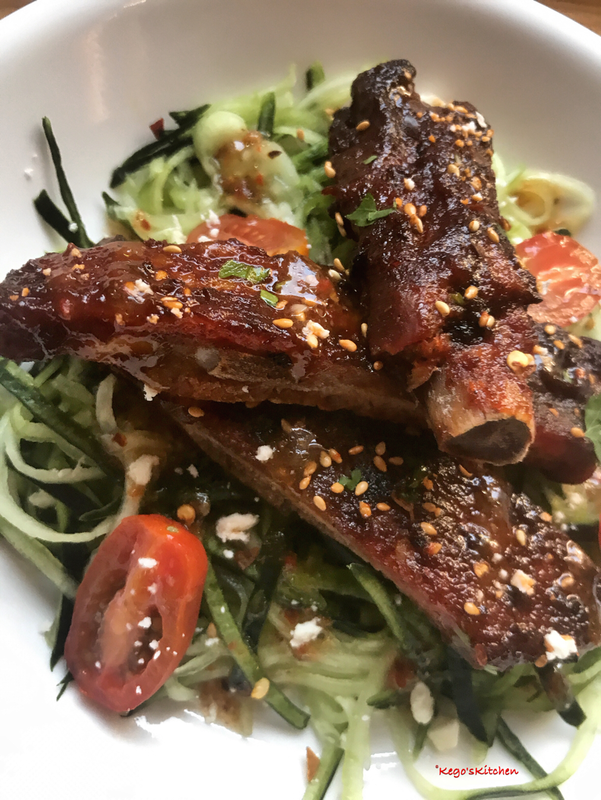 Enjoy your guilt free ribs! 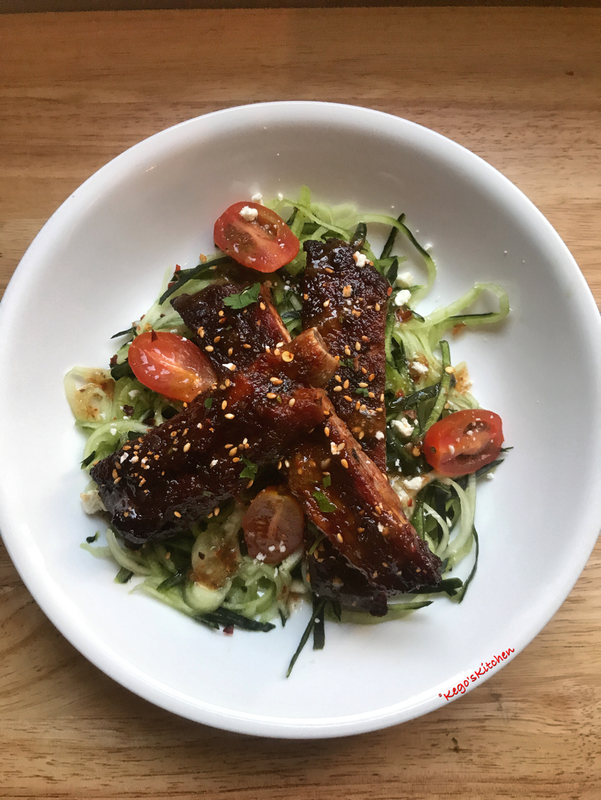 Spiralize 1 cucumber, place ribs on top. Use sun dried tomato vinaigrette as dressing enjoy. Hello guys, I’m back lol. I know, I know, I haven’t blogged in a while. So many things happening all at once can make one go on a hiatus. But on another note I’m back with a yummy recipe. Low in carbs and scrumptious at the same time. What makes it so yummy is the creamy pesto blend . Baste fish with olive oil using a brush. 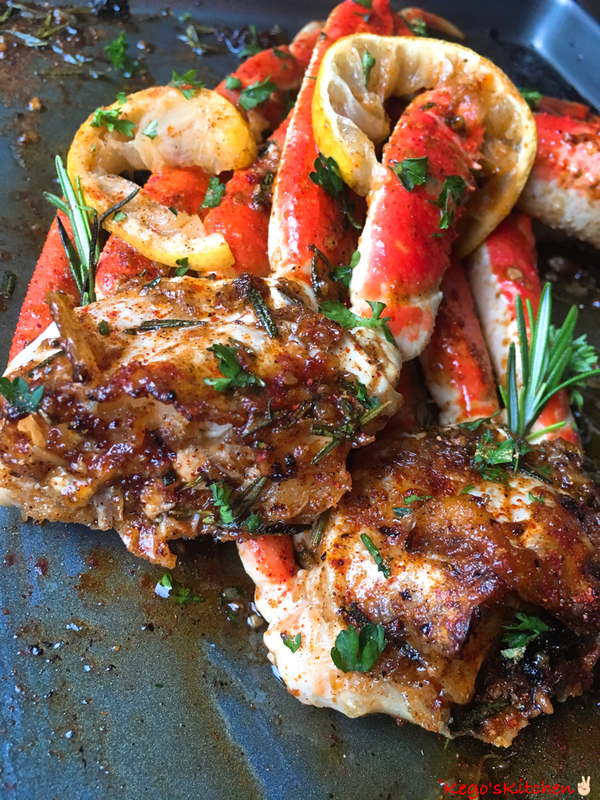 Season fish with salt, black pepper, thyme and cayenne pepper to your own preference. In a separate pot, heat up( medium heat) the cream cheese and cream/ milk. Whisk to mix completely. Add in the pesto and continue to mix. Turn off heat, if it become to thick add a little bit of water and whisk vigorously. Serve fish with pesto sauce on top, sprinkle parsley for an added touch. Suya and crabs mixed together is heaven. Try my new invention!! Begin to melt butter in a small pot on low heat. Add in rosemary and garlic. 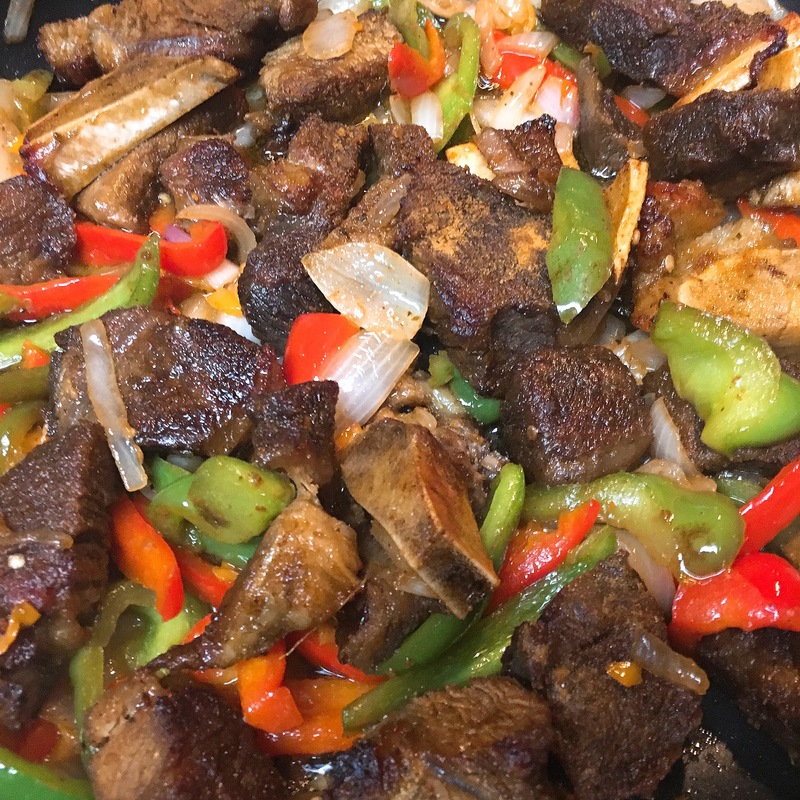 Next add in 2 pinches of the above seasoning ( except for the suya ). Lastly squeeze in the lemon juice. Allow to simmer, then add in brown sugar. 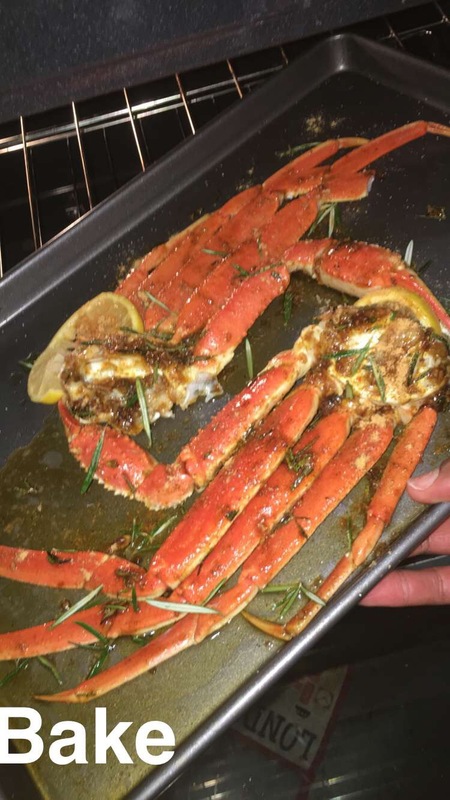 With a brush, begin to baste the crab legs with the sauce. When done place in oven for 20 minutes. At 10 minute mark remove and re-baste with the liquid in the pan. Are you tired of eating the same ol’ dry chicken breast from your meal preps? Try my Healthy Stuffed Chicken Breast recipe. Stuffed with sun dried tomatoes, low fat cheese, and spinach. Low fat, low carbs, and high in protein, this recipe is definitely #fitfam approved. Preheat your oven to 375. Season you chicken with above seasoning. Pour marinade over chicken and mix. Also add in garlic and lemon zest. Marinate the chicken for 30 minutes to an hour. With a knife cut the chicken along the Vertical aspect (as seen below). making sure not to cut completely through, making a pocket. Cut up your onion, peppers, spinach and sun dried tomatoes. Begin to stuff the pocket with the onions, pepper, mozzarella, feta cheese, and spinach until full. Using a toothpick, close the opening of the chicken. (optional ) Sprinkle Parmesan cheese on top of the chicken. Now there are 2 ways to cook the chicken. The first way is searing the chicken in a pan. Heat up some olive oil in a pan place chicken in, Sear for 1-2 minutes each side. When done place into the oven. Continue to bake for 20-25 minutes until chicken is done. Another way is to just bake the chicken for 25 minutes. Spicy peppered beef for the win. Try my recipe and you will make it all the time. Prepare and chop all onions and peppers and set aside. In a mixing bowl, combine cream cheese, strawberries, 1 tbsp of brown sugar, and 1 tsp of vanilla extract. Mix together until smooth. Using a sharp knife cute bread into 1 1/2 – 2 inch slices as show below .Using a knife make a pocket, making sure not to cut it all the way through. Fill each pocket with the strawberry mixture and set aside. In another bowl mix eggs, 1 tsp of vanilla extract, cinnamon, 1 tbsp of brown sugar, and milk. When done serve with fresh strawberries, powdered sugar, and syrup. I had one of my very good friends, Beverly, stop by today and try my french toast. She said, “This is so good, I have never tasted any French toast as good as this, even in restaurants.” I was so elated, I hope you guys enjoy the recipe. Thanks Beverly for supporting Kego’s Kitchen . Being from Nigeria, plantains made with eggs and tomatoes is a standard meal for breakfast. I was thinking how can I have the same meal but on the go and more healthy. Thats when plantain muffins came to mind. To my fellow Nigerians its like have plantain and egg stew in one bite. So if your looking for some more meal prep ideas this will be perfect for you. I hope you enjoy my creation as much as I do. Lets go on a tasteful ride. Cut plantain into 1/2 inch pieces. Season with a little salt. Heat up a coconut oil in a frying pan. Sear on one side for 3 minutes each and remove from heat. Spray cupcake pan with PAM. Take 2 pieces of plantains and mash (using fingers) into bottom of an individual cupcake space. Making sure to cover the bottom. ( See picture below) You should have about 5-6 cups. Mix eggs, tomatoes, onions, habanero and above spices. Place in oven and bake for 16- 20 mins. Checking periodically, by poking the middle with a toothpick to see if its fully done.